Contractors specializing in Genflex Roofing, Commercial Roof Repair, Commercial Roof Construction, and all other Genflex Commercial Roofing Services in CT. Call 1-888-766-3020 for a Free Quote. GenFlex Roofing Systems for the past 30 years is a leading, full-line supplier of high quality single-ply roofing products for the commercial roofing industry. GenFlex offers high quality membranes and components designed and tested for weathering, durability, and compatibility. GenFlex Roofing Systems features three single-ply EPDM (Ethylene Propylene Diene Monomer) membranes designed for new and reroof low-slope applications: GenFlex EPDM - an elastomeric membrane, GenFlex AFR – an EPDM membrane that is fire retardant, and GenFlex FRM - an EPDM membrane reinforced with tough polyester fabric. New Roof Connecticut’s licensed and insured roof contractors have years of quality commercial roofing experience in New Haven, Fairfield, Tolland, Middlesex, Hartford, New London, Windham and Litchfield County. We service all types of buildings and market segments including commercial offices, government buildings, medical offices, hospitals, schools, banks, industrial buildings, residential homes, commercial buildings, housing associations, and apartment buildings. Call New Roof Connecticut 1-888-766-3020 to learn about our Genflex single-ply roofing solutions or request a Free Commercial Roof Quote. GenFlex EPDM systems have a performance history of over 20 years and can be warranted for up to 20 years depending on the system design. EPDM comes 45 mil (1.1mm) or 60 mil (1.5mm ) thick and is available in rolls up to 50'(15.2m) wide by 250' (76.2m) long. 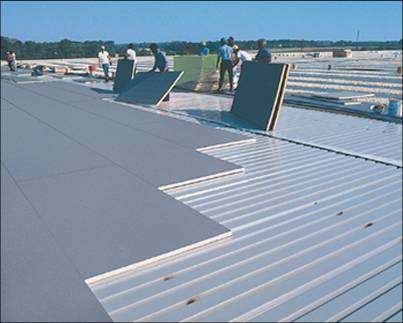 It is ideal for either new roofs or for roofing over a variety of common roof deck types and insulation materials. Installation systems include ballasted, fully-adhered and a number of mechanically-attached alternatives. This is a high-performance membrane, resistant to tears, impacts, punctures and normal roof traffic. Normal structural movement has limited effect on its integrity. This membrane provides excellent resistance to ozone and ultraviolet light exposure. GenFlex has produced the industry’s first 12-foot wide TPO membrane sheet meeting industry code requirements. These TPO membrane sheets offer significant cost advantage benefits including fewer seams to weld and fewer panels to install. GenFlex TPO membrane is a high quality thermoplastic polyolefin that offers the proven flexibility and weathering resistance of rubber and the performance of hot-air welded thermoplastic seams. Heat-welded thermoplastic roofing membranes are the fastest growing segment of the low-slope roofing market and GenFlex TPO is an excellent system choice. 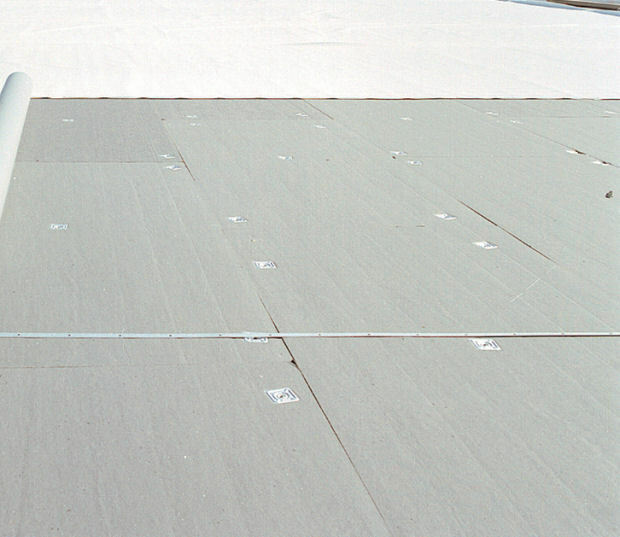 GenFlex TPO roofing systems are designed for durability and to withstand extreme environmental exposure. GenFlex TPO systems offer the widest selection in both product and system types from dual weld seams to Peel & Stick systems. GenFlex has TPO products available for mechanically anchored to fully adhered systems with warranties up to 20 years depending on the system design. For more information about Genflex Roofing Solutions please visit the Official Genflex Website or contact our Roofing Experts 1-888-766-3020 for more information. Please also feel free to request a Free Commercial Roof Quote.